Hello! 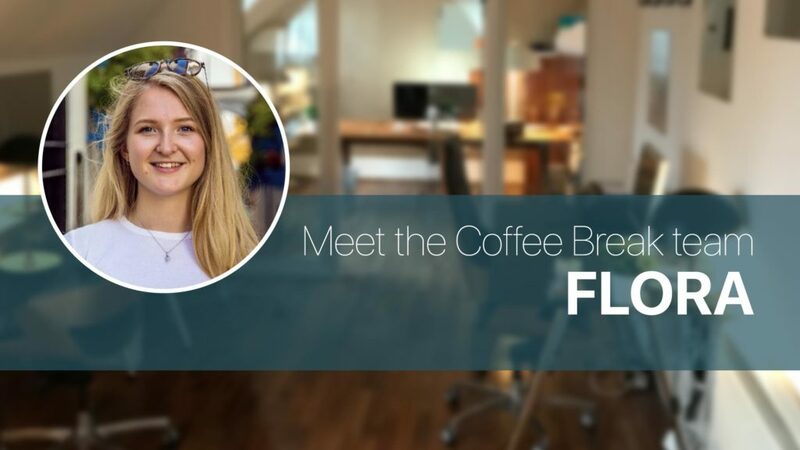 My name’s Flora, and I’m Radio Lingua’s Content Production Assistant. I’ve been working with Radio Lingua since October 2016, when I started as an intern during my 5th and final year of university. I studied French and Spanish at the University of Glasgow, and started working full-time for Radio Lingua when I graduated last summer. 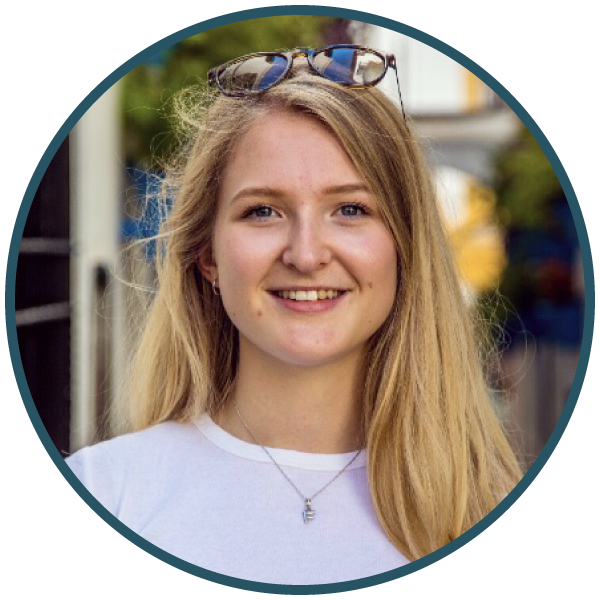 Along with Kristina, our Content Marketing Assistant, I help to create, organise and manage all of the content we produce, whether that be coming up with social media posts, or helping to create new language learning materials. I also play a role in customer support and help with various admin tasks. My job is extremely varied and I learn new things all the time. On any one day, I might be in the recording studio with Spanish and Italian native speakers in the morning, and then copywriting and replying to tweets from the Coffee Break community in the afternoon. I was interested in French from a young age because my family moved to Brussels for 3 years when I was three. Being surrounded by different languages at that age is definitely what led me to pursue them further. I loved my French classes all the way through school and also tried my hand at German for one year. When I left school, I decided to keep studying French at university, and also took up Spanish as a total beginner. 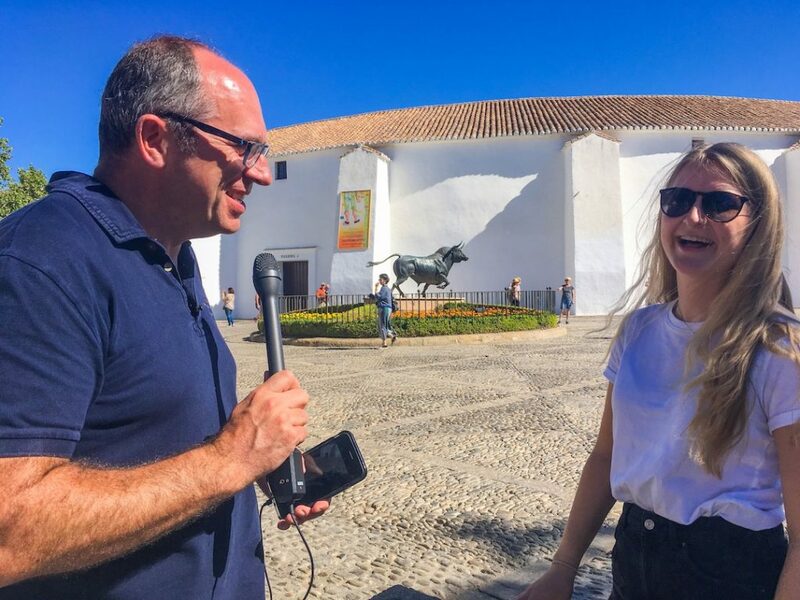 As part of my degree, I spent one year studying translation and interpreting in Granada, Spain and 4 months working in Montpellier in an English centre, which were both fantastic opportunities for improving my Spanish and French. What are your favourite memories of working with RLN? I really enjoyed helping with our 2017-18 internship recruitment process, which involved speaking to students at my old university, presenting at our information sessions and asking questions in the interviews. Kristina and I have worked closely with all of the interns this year, so it’s been nice to see the whole process come ‘full circle’, as we both took part in the internship the year before. We’ve also just launched the Coffee Break Reading Club, which we first started working on as interns, so it’s been great to have been involved in that from start to finish. Another great memory is the work trip to Spain in September 2017 with Mark and Kristina, which I enjoyed so much that I accidentally referred to it as a ‘holiday’ one evening! We were in Spain to record new content for our forthcoming En Marcha series, visiting places in the Málaga region and chatting to locals. It was my job to get in contact with potential interviewees via email in Spanish and to create an interview schedule for the week so that we knew who we were seeing each day. I also learned how to record professional video and audio footage, conducted an interview in Spanish with an art expert from the Pompidou Centre in Málaga, and went on a food tour around the city. It was a great week and I’m looking forward to seeing how all of the content we recorded that week comes together when En Marcha is published later this year. 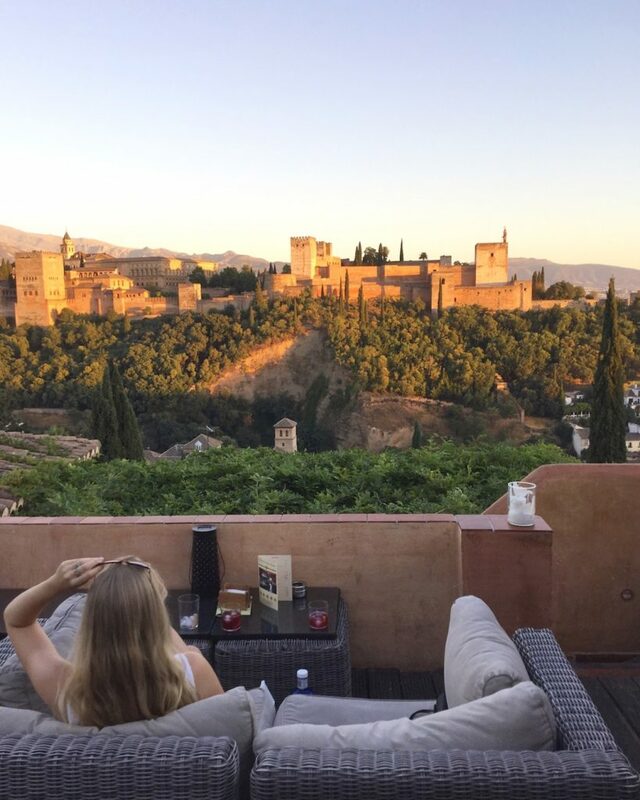 My ideal coffee break would be a late-afternoon café con leche in one of the cafés at the San Nicolás viewpoint in Granada, overlooking the Alhambra Palace. As for the company, I’d have to choose the actor Miguel Ángel Silvestre, who stars in a few of the Spanish TV series that I’ve watched over the years. Solo le falta a Miguel Ángel – all that’s missing is Miguel Ángel! For me, a huge part of language learning is overcoming the fear of making mistakes. I learned Spanish mainly through speaking it, whereas I learned French from textbooks in a classroom environment. When I started living in Spain, I could barely understand what people were saying, but made an effort to go to language exchanges each week. 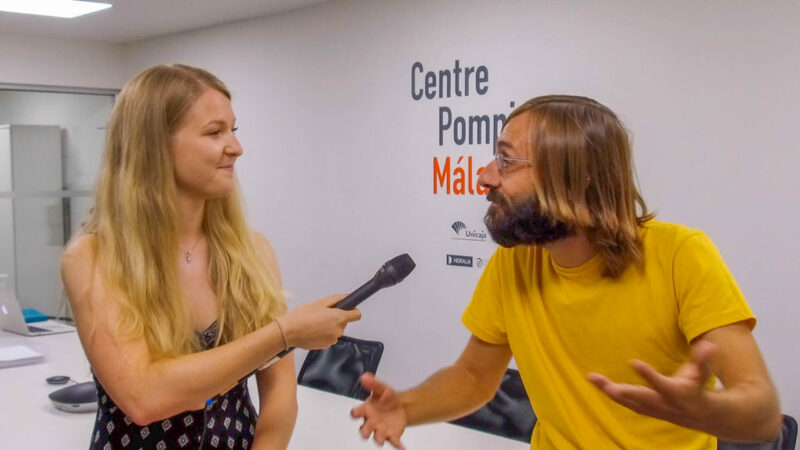 I made so many mistakes when speaking at first, and kept using French words by accident, but I found that the phrase ‘you can never make the same mistake twice’ is absolutely true for language learning, as making mistakes really helped me learn. I realised that nobody was going to laugh at me for mixing up a complicated verb conjugation or using the wrong past tense, and my Spanish improved much more quickly after that. Favourite word/phrase in the language – I like the word for peninsula in French (presqu’île) as it literally means ‘nearly island’. I also like the word anteayer in Spanish, as it’s a really handy word which doesn’t exist in English. Favourite film / TV show / Book / Radio Station? Favourite destination – In Spain: Granada or the Costa Brava, above Barcelona. In France: Grasse, Antibes and Nice, or a wee town called St-Guilhem-le-Désert, near Montpellier. Learning a language isn’t easy and can be an really frustrating process at times. It can sometimes seem that you’ll never reach a high enough level to be able to communicate with people fluently, and it’s so easy just to throw in the towel each time you hit a ‘wall’. However, if you manage to break through these walls, it’s so rewarding. Languages allow you to communicate with more people across the world, and meet people you never would have met if you had only spoken one language. They also broaden your mind and make you see the world in a totally different way; the advantages are endless! PrevPreviousCBI 2.23 | Cosa facevi quando ti ho telefonato? Happy Birthday Flora! Im so grateful to be learning a language at this time in my life with kids grown and husband and I to travel and enjoy life. I am so thankful for all of you at coffee break Italian…I just subscribed to the Reading Club and my private tutor and I enjoyed the first post…so keep up the good work, especially finding creative ways for us to learn…a suggestion is that I think we need a writers club…I learn a lot when I have to write replies…and Im meeting people on coffee break Italian too!! Thank you for the kind birthday wishes Paula! We’re so glad to hear that you’re enjoying learning Italian with us and are delighted that you’re using the reading club texts with your tutor. I’ll pass the ‘writing club’ suggestion on to the rest of the team. Keep it up!